JUST PLAIN GOOD MANAGEMENT is a reminder that great things come in small packages. JPGM is filled with the most practical advice for those seeking to master the art of managing. It’s a great gift for your managers, employees, and friends. The ability to manage groups and organizations effectively and responsibly is one of the most important and most valued skills in society today. But good management is rare. If you think of the really good managers you have had in your career, the number will probably be small. Managing well is really not that hard. All that is required are a few simple ideas, practiced with patience, sincerity, and good will. In JPGM, you will learn dozens of common-sense lessons shared by the best managers in public, private, and nonprofit organizations in this country and around the world. These lessons represent the core skills and ideas that guide good management today. They are not the lessons of the past, but those of today – the new management. The basic ideas aren’t that difficult, but, if practiced consistently, they can make your organization more productive and your community a better place to live. And you and your people will likely feel happier and more engaged than ever before. JUST PLAIN GOOD MANAGEMENT is filled with the most useful management lessons available presented in straightforward yet powerful language that speaks directly to those who truly want to be better managers. The minibook makes a super gift for managers, employees, and friends. It’s a great “stocking stuffer,” even when it’s not a holiday! JPGM lists for $9.97 and requires a minimum order of ten copies. Substantial discounts, however, are available for larger quantities. To order, please email Bob@Denhardtleadership.com. Or call Bob at 916-942-9160. Fads fade. Sounds like a good book for the long haul. 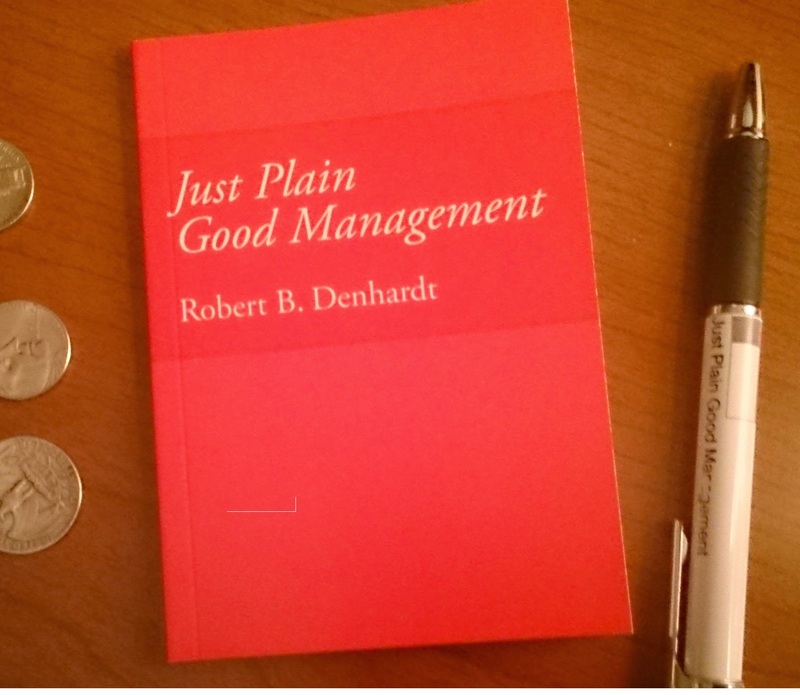 Just Plain Good Management is a great small book of reminders on how to be a decent person as you relate to all people on a day-to-day basis. Just ordered several copies to share.